All operating systems are haunted. Ghosts wander their halls, remnants of decisions make in the past that sometimes manifest themselves and go “boo” when unexpected interactions clash. It’s always maddening to have a problem that appears regularly but inconsistently, so you cannot nail down its cause, but still have to deal with the consequences. Maybe your computer or mobile was built on top of an electronic recycling center? Or maybe there’s a bug, not a ghost, that needs to be zapped. In this week’s column, I present some mysteries and possible solutions. But let’s start with a Photos correction. Last week, I replied to one reader’s question about creating a smart album that contained only photos that weren’t in any album, which sounded almost like Bertrand Russell’s paradox, expressed sometimes as a book in a library of all books in a library: should it include itself? This Smart Album contains all photos not found in other albums, except this album. What? I said it wasn’t possible, but I didn’t conceive of the problem in the right fashion. Stephen Ball wrote in to note that one can create a smart album with the condition “is not” and the generic Any label. Rather than create an album that comprises only albums that aren’t in albums, triggering a wormhole in the universe, it creates an album of photos that aren’t in any album. Thanks, Stephen! A friend had a puzzle. Her iPhone displayed a message that seemed like some kind of phishing attack or other hack: “Passcode Requirement: You must change your passcode within 18 minutes.” This appeared as a dialog overlaying the home screen, not within a browser, and not as a notification. Tapping Continue let her proceed and she’s had no trouble since. But the message troubled her, and rightly so. She’s a contractor at a corporation, and has been given no Wi-Fi, VPN, or email access to the company. She uses company equipment for all that. Her phone was on LTE at the time the message appeared. This message should only appear when an iOS device is being managed. Why it appeared on this user’s screen remains unknown. This is a legitimate message for iOS, but it should only appear for “enterprise” (corporate-scale) customers using mobile device management (MDM) or Microsoft’s Exchange ActiveSync. Typically, this message appears only after an initial enrollment in a corporate network’s MDM or due to some later security update and push. 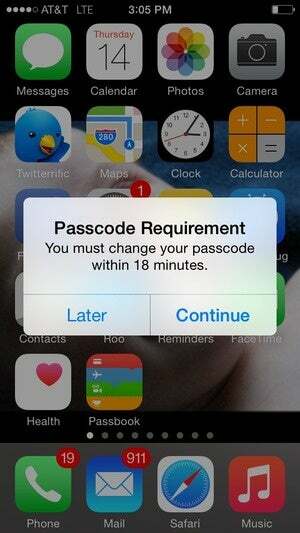 Exchange ActiveSync should be able to force a passcode change as well. But the user in question doesn’t use Exchange ActiveSync and has no profiles of any kind installed, MDM or otherwise. Internet searches find a handful of people with a similar problem, but no explanation. Since changing her passcode, she hasn’t seen the message again. I’ve recently performed a hard-drive wipe on my MacBook Pro (late 2011) which has a 750GB hard drive. After performing this on the highest security setting before reinstalling OS X Yosemite it states I have used 256GB of 750GB. Is this correct? I thought I would have the full 750GB back after the wipe. You can double check whether this is a glitch or something strange has happened by selecting About this Mac from the Apple menu, then clicking the Storage tab. You should see how much space OS X thinks is occupied and by what. If the drive can be used as a startup volume, you should see a breakdown of file type, too. You should have some tens of gigabytes used by the operating system, but not 256GB. 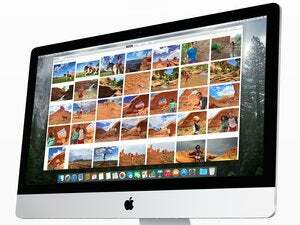 About This Mac reveals what OS X thinks is consuming storage. While it sounds like a problem you’re seeing in the OS X’s reporting, it’s possible this is a partition error—that is, if you’re seeing 500GB free rather than 256GB consumed. A few years ago, my wife bought a MacBook Pro with a 512GB drive, which almost immediately failed. We returned it to the Apple Store, which swapped in a good one, and I restored the backup I’d made of her machine. Only after she began to bump up against warnings that her drive was full did we discover that the Apple Store had formatted the new drive as a 250GB partition rather than using the full 500GB space. And although Disk Utility will allow dynamic resizing of GUID Partition Table-formatted drives, hers wouldn’t expand. 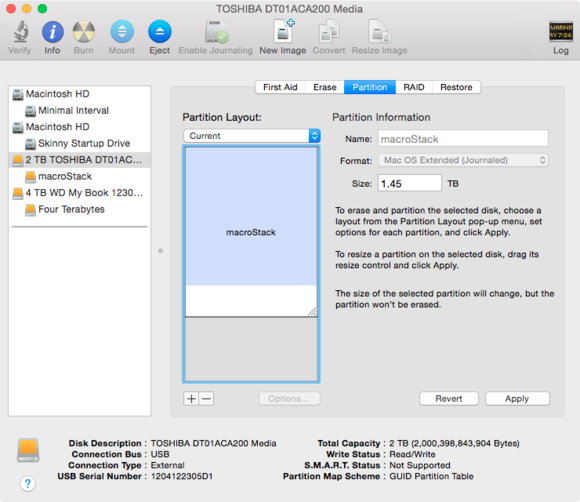 Disk Utility should let you resize GUID Partition Table partitions. But not always! Why? A puzzle. The store refused to take responsibility for the hassle, too. We ultimately had to clone the drive, erase it, repartition it, and restore it. In Disk Utility, click your drive icon and see if the partition doesn’t fill the whole space. If it doesn’t, you may be able to drag and resize without a reformat. 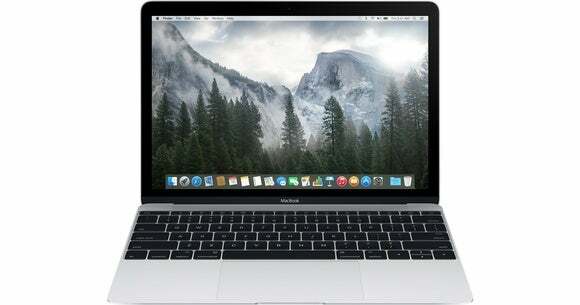 If you can’t, you may need to reinstall again, using OS X Recovery or booting from a USB drive with the OS X installer set up according to our instructions. Then you can use Disk Utility to reformat to your needs. I’ve received several queries about Mail Drop, a feature added in Yosemite to Apple Mail that pairs with iCloud. As Chris Breen wrote in November 2014, Apple Mail will recognize a large attachment and, instead of sending it directly to a recipient, will offer to use iCloud instead. In that process, the file or files are uploaded to iCloud, where it’s stored for 30 days. Fellow Yosemite Apple Mail users see what appears to be a normal attachment, while other recipients get a link. Rosalind Jarvis tries to use the feature when prompted, and the file never completes uploading after she agrees to use Mail Drop. The outbound message just sits there, not changing status. She’s not the only one. In this case, it’s likely but not certain that there’s either a very slow upload in process (her file was over 200MB), or a network or iCloud authentication problem that was preventing the file from being transferred at all. John Peterson wanted to invoke Mail Drop, but Apple doesn’t document it, so he attached two copies of the same file to trigger its use. The minimum size is 20MB, but OS X Daily posted a tip a few months ago on setting it smaller. Ted King has a Time Machine poser. He helped a friend who had received a hand-me-down Mac by updating it to Yosemite, but when he tried to download other updates from the App Store he was stymied. The previous owner’s Apple ID appeared, and couldn’t be changed. But when he chooses Store > View My Account, his friend’s address is there! He tried App Store support, but they haven’t been able to resolve it. I may have an answer, but I hope other folks weigh in. When you have software that was obtained from the App Store (free or for a fee), it remains locked to the original purchaser. When you update that software, you may be prompted for the password for that original account with the account ID grayed out—I’ve seen this before, but not consistently. If that is the problem, uninstalled the app and downloading it again should resolve the problem. You might say the ghost of the previous installation hasn’t yet moved on. Keep your Photos questions coming for as long as you have them, and we’ll continue to shovel through the backlog and answer them. And ask us about other mysteries you want an answer to. Email us at mac911@macworld.com or tweet them at me (if brief) @glennf. Mac 911 can’t provide direct email responses or answers for every question. For that, turn to AppleCare, an Apple Store Genius bar, or the Apple Support Communities.